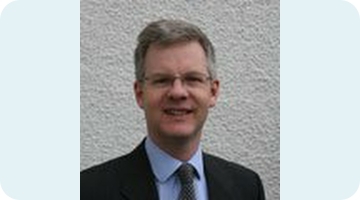 Fraser Skirrow graduated from Pembroke College Oxford in 1985. After several years with the construction and engineering company Mowlem he entered the MBA programme at London Business School graduating in 1989. He spent 15 years in Andersen Consulting (later Accenture) where he was the partner leading the European R&D consulting business. In 2005 he was a founder member of Kinapse, an international R&D Consulting and outsourcing business. Post-merger integration. He has led the integration of Development functions in 4 major post-merger assignments each taking 18 months to 2 years, covering multiple sites and countries and several thousand staff. The scope of these projects included development strategy, organisation design, Commercial and Development operations. The aim was to restore performance to pre-merger levels and then create unified, world class development organisations. Operating model design and implementation. He has led design and implementation of new operating models in several global biotechnology and vaccine companies. In general, these were 18 month programmes of analysis, solutions design and implementation that set out the structure for the governance of R&D, the functional and team structures, operating practices, planning and performance management systems and processes. They covered the US and European development hubs and the European commercial operations. Advisory Roles to Senior Development executives. He has supported multiple post-merger integration projects with Kinapse. These were advisory roles with directors of European Development functions on issues including organisation design, performance management, resource management, change management and metrics. He led business strategy and change management for the European division of a major Japanese company. This 18-month programme covered the setting up of an autonomous European development region within the company, setting the business strategy, creating and implementing the organisation design for functions and teams and the design and implementation of a new governance structure. He is a Non-Executive director of Glide Technologies, a needle free injection company based near Oxford. Through the non-executive role assistance has been given in business strategy, fund raising, investor communications, alliance management and planning. With other MedInnovate directors he carried out feasibility for setting up a national bio-repository. The objective of the project was to understand the value and benefits of creating a national Bio-Repository to collect, store and analyse tissue, leading to the better understanding of long term population health. It involved identifying the real and perceived barriers to the creation of the repository, defining its operating model and business case and setting out an overall plan to create the facility. Set strategy and business model for an R&D service provider prior to trade sale. The objective of the project was to compile a 3-year business plan with supporting financials that set out the growth aspirations for the company and potential exit strategies. Detailed product development plans and business growth strategies were set out and the company was subsequently acquired by a global information provider. Fraser is also an author and speaker on military tactics and organisation in the First World War (http://www.amazon.co.uk/Massacre-Marne-Battalion-Yorkshire-Regiment/dp/1844154963) and a keen outdoorsman, instructing young people in adventure training and survival skills.